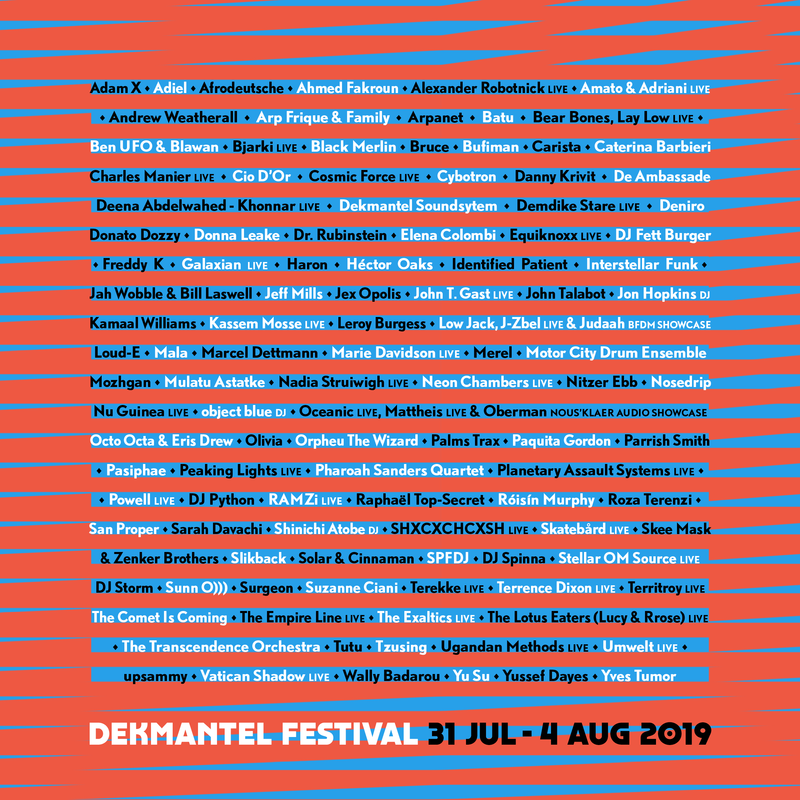 Dekmantel has shared full details for its 2019 edition and, once again, it features a jaw dropping line-up. The hallowed Amsterdam festival started sharing artist announcements on the night of Sunday 20th January and continued to announce acts individually up until Monday evening. The festival, which takes place from 31st July to 4th August, has locked some legendary names for this outing, including drone/experimental metal legends Sunn O))), pioneering modular synthesist Suzanne Ciani, Ethio Jazz icon Mulatu Astatke and recently reformed EBM figureheads, Nitzer Ebb. Of course, the more dancefloor-focussed festival goers will also be more than spoiled for choice with sets locked from the likes of Jeff Mills, Marcel Dettmann, Palms Trax, object blue, upsammy, Ben UFO & Blawan, Octo Octa & Eris Drew, Venetian Snares (Live), Deena Abdelwahed (live), Demdike Stare (Live), Tzusing, Róisín Murphy, Jon Hopkins, Batu, Carista, Marie Davidson, and a staggering amount more. For more information and tickets, visit Dekmantel’s website. Dekmantel recently launched a new two-volume techno reissue series. Dekmantel's sister festival, Selectors, recently announced the line-up for its 2019 outing in Croatia, feautring Ben UFO, Lena Willikens, Objekt and Palms Trax.